As tall as a 20-storey building and capable of carrying more than 5,000 passengers, the world’s largest cruise ships are a ubiquitous sight in the ports of Europe’s major cities, as more and more people decide that cruising is their kind of holiday. Passenger numbers have been increasing year-on-year since the mid-1990s and are expected to keep growing, especially since the industry is investing billions in new vessels. But that success has been accompanied by concerns about its impact, as ships unload tourists and emissions alike into the streets and airways of coastal cities. Michael Thamm, the head of Italian cruise operator Costa Group and the new chairman of trade association CLIA, is a staunch defender of his industry though, and he told EURACTIV cruising is lumbered with an unfair reputation that is the result of an “emotional debate”. “The ships are by nature very visible. 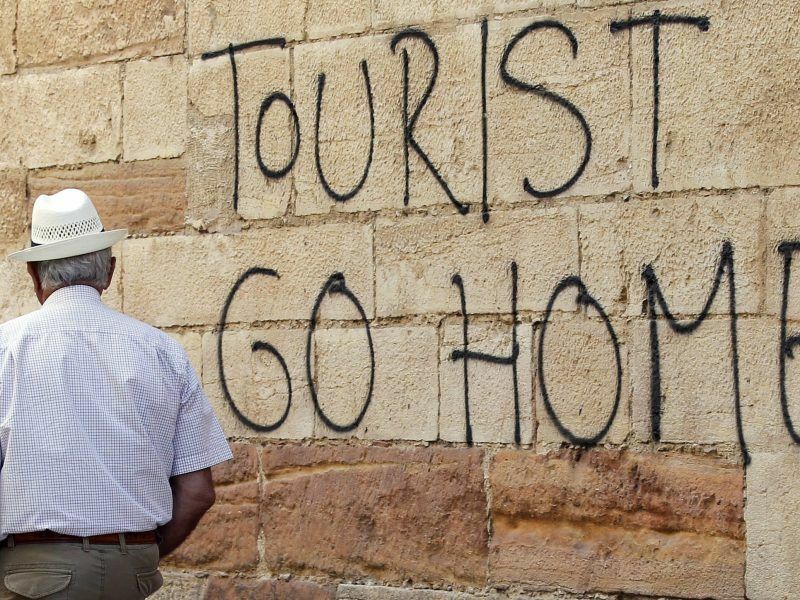 But we’re a small industry and, in fact, we make up less than 5% of global tourism,” the German CEO explained. Tourist numbers topped 1.3 billion in 2017, according to the UN. “You also have to remember that there are actually only 350 ships across the industry,” he added. 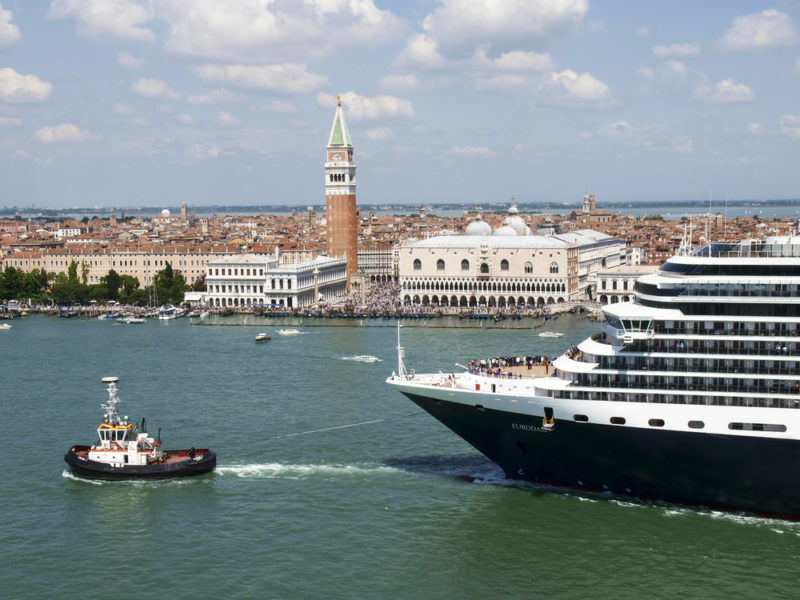 Cruising’s impact on cultural areas is most synonymous with Venice, where giant ships are routinely seen entering and exiting the Italian city via its ancient marine gateway at St Mark’s square. Locals have complained that the number of tourists brought in by the ships has made the UNESCO site unliveable, while environmental groups have warned about the increase in pollution and effect on the already precarious Venetian architecture. “Venice gets 25 million visitors a year. 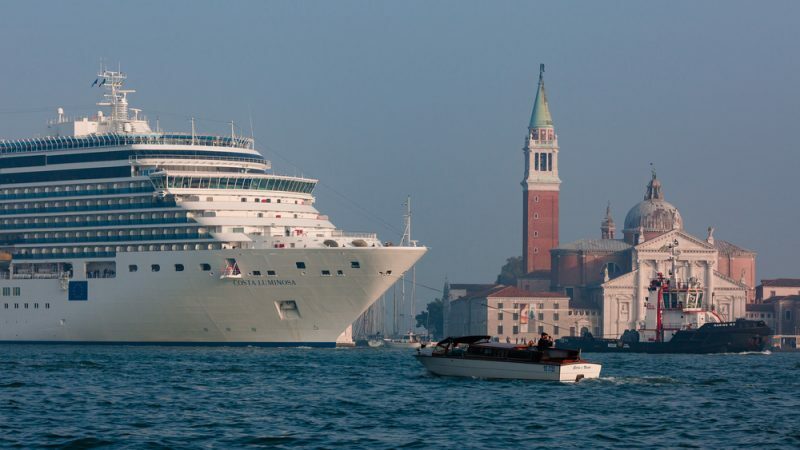 1.5 million of those are cruise ship passengers, which is not very much in the grand scheme of things,” Thamm insisted, adding that “Venice is an example of what happens when tourism is badly managed”. In 2017, a government committee decided that the biggest vessels or ‘grandi navi’ will have to take the long way around Venice’s lagoon and dock at the mainland instead. It was greeted as a compromise that will preserve the lucrative income offered up by visitors. But that measure will need new infrastructure at the entrances to the lagoon, which means the cruise industry has some time to propose alternatives. Thamm said his company is working with the local government to find solutions, including dredging the main canal. Maintaining good relations with port operators and local authorities is the name of the game for the big cruise companies. Last year, the Croatian city of Dubrovnik, made famous by hit TV show Game of Thrones, announced it would cap to two the number of ships allowed per day, rather than ban them altogether. Cruise ships have also generated unwanted headlines about their environmental impact, particularly the air pollution that they can cause. Large vessels predominantly use heavy fuel oil (HFO), a residual product left over when petrol and diesel are produced. It is rich in sulphur and releases a lot of particulate matter when burned. A 2017 investigation found that fumes from one ship were equivalent to the daily emissions of one million road cars and that air quality on deck was comparable to that of the world’s most polluted cities. But Thamm said things are changing and the sector is leading the way in cleaning up shipping’s act. One reason for the increased environmental scrutiny is that the cruise industry has a more visible direct link with consumers than the cargo industry. “There are big expectations. People want an environmentally sound product, run by a sustainably minded company,” Thamm said. Costa parent company Carnival announced on Tuesday (12 March) that it stopped using HFO on its Arctic voyages two years ago. The International Maritime Organisation (IMO) is currently working on banning the polluting fuel from the northern region. 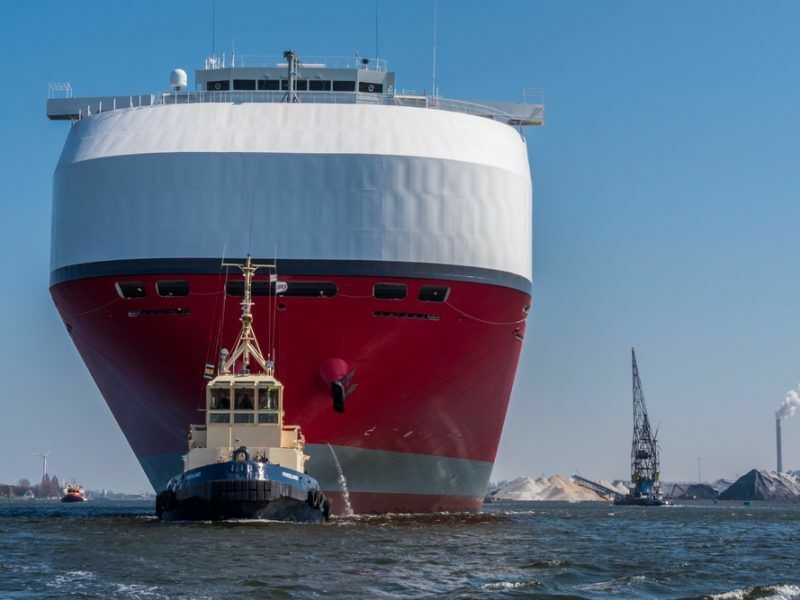 The investment in particulate matter-busting filters will also stand cruisers in good stead next year, when an IMO cap on sulphur emissions comes into force. But air pollution is just one part of the puzzle, as shipping also makes a massive contribution to greenhouse gas emissions, producing more carbon dioxide and methane per year than Germany. 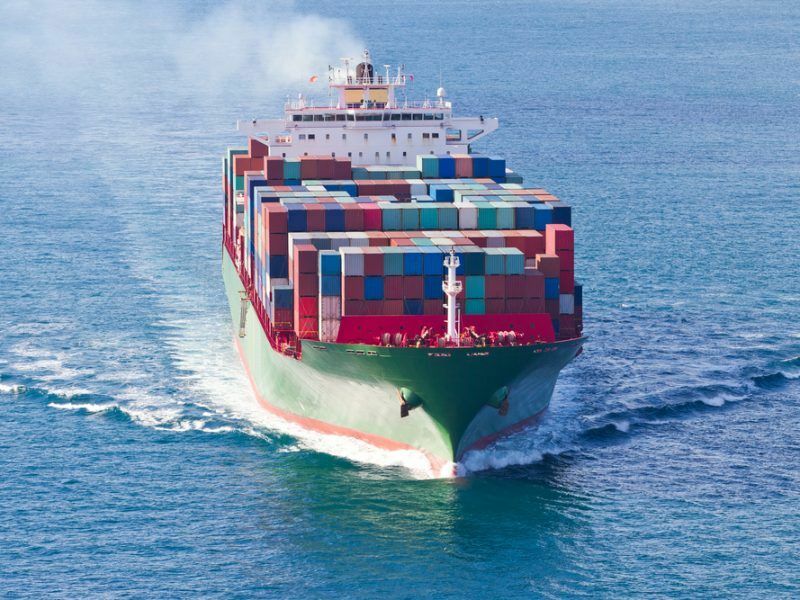 The IMO is currently mulling how to make good on a pledge to halve emissions by 2050, with alternative fuels like hydrogen, biofuels and liquified natural gas (LNG) set to play their part. Late last year, Costa subsidiary AIDA Cruises took delivery of the world’s first fully LNG-powered cruise ship, which cost nearly €1 billion, and Thamm said it was a watershed moment. “In a few years’ time, when we look back at that, we’ll see it as a real game-changer,” he said, adding that of the 100 vessels currently on order, 20 are LNG ships. But LNG in shipping is not without its critics. A recent study concluded that any environmental gains made by reducing CO2 emissions could be wiped out by rogue methane emissions contained in LNG. Methane is a more potent greenhouse gas than CO2. Unburnt gas can be released into the atmosphere through a phenomenon known as ‘methane slippage’ and although engine developments are focused on reducing its impact, it is still very much a factor. Clean mobility NGO Transport & Environment (T&E) told EURACTIV that using catalytic converter technology, choosing marine gas oil (MGO) as fuel and investing more time in hydrogen development would be a better strategy. Hydrogen is indeed on the cruise industry’s radar and the first zero-emission ships could enter into service within the next decade. Thamm said it could take between ten and 20 years but the ultimate goal is “zero impact, just fun”. “As a leader, you get some first-mover advantage. Sure there’s a risk that others could copy us but it’s for the sake and the quality of the industry. We’re very open to sharing insights and technology with others,” he added. T&E expert Lucy Gilliam thinks that hydrogen vessels could be in service “quicker than that” though and added that fuel cells will be tried on European ships over the next few years. Viking Cruises revealed in 2017 that it would build the first hydrogen-powered ship and there are various examples of smaller ferry companies taking the plunge into the burgeoning technology. EU negotiators agreed last week on funding for the bloc’s next Connecting Europe Facility, a programme geared towards providing grants for projects like charging infrastructure. Under the current CEF, money has already been allocated to cleaning up maritime links between Poland and Sweden, as well as deploying hydrogen infrastructure in Denmark and the UK. A final call on how much money will be ring-fenced will be made during the looming negotiations on the EU’s next overall budget.